It’s amazing what the first flush of a new marriage will do to a chap. 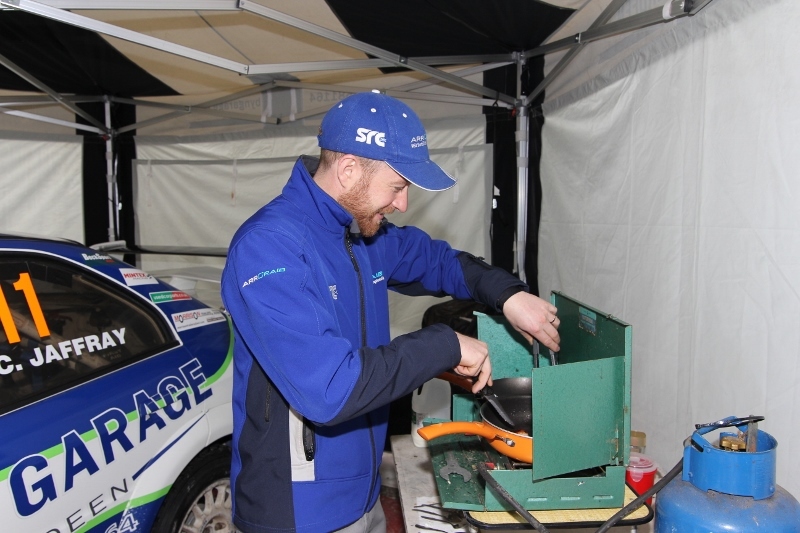 Demonstrating his new-found culinary skills and enthusiasm for household duties, Simon Hay was spotted preparing the team breakfasts this morning. The menu may be somewhat limited, but he certainly knows how to make a bacon and sausage roll – he even cut the sausage longways to fry them quicker and lay them flat in the roll so that they are easier to eat. On the other hand he may just be trying to make the sausages go further rather than buying another packet. Whatever, on such solid foundations are new marriages successfully built. 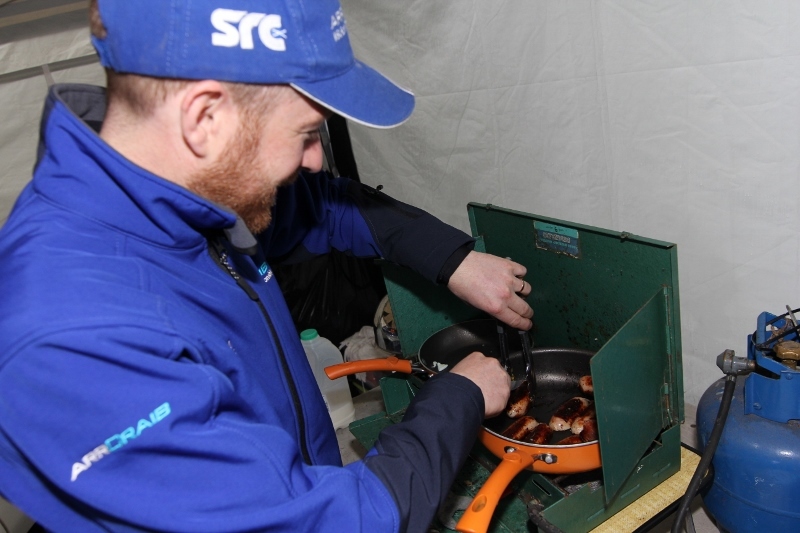 Just one tiny worrying thought, was that synthetic or mineral based oil in which he was frying the bacon?